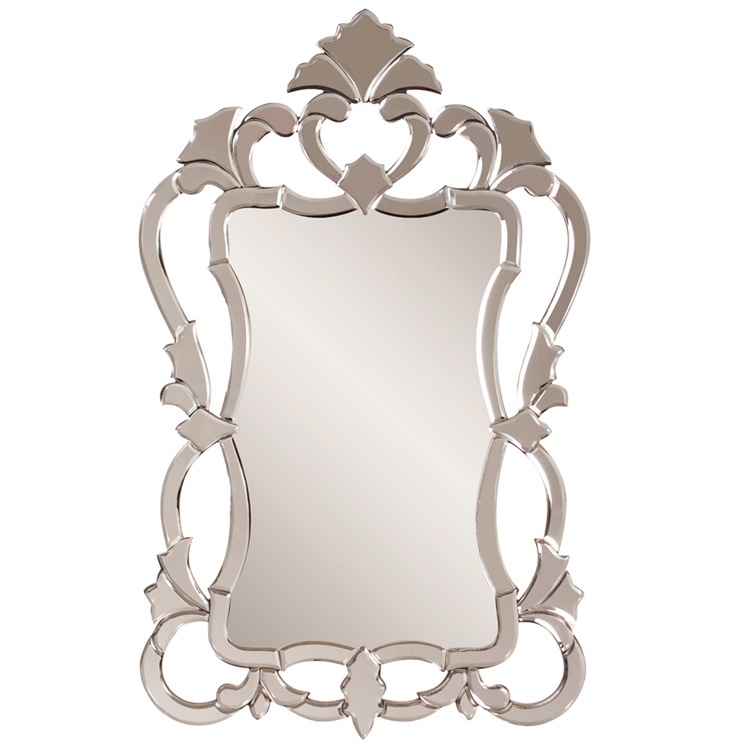 This Chelmsford mirror features an ornate open work frame. It features scrolls and flourishes made from mirrored panels. Each mirrored panel has a small bevel that adds to its beauty and style. It is a perfect focal point for any design. Customizable for larger orders.